Are you having a problem with your beautiful blooms being munched on whenever you turn your back? 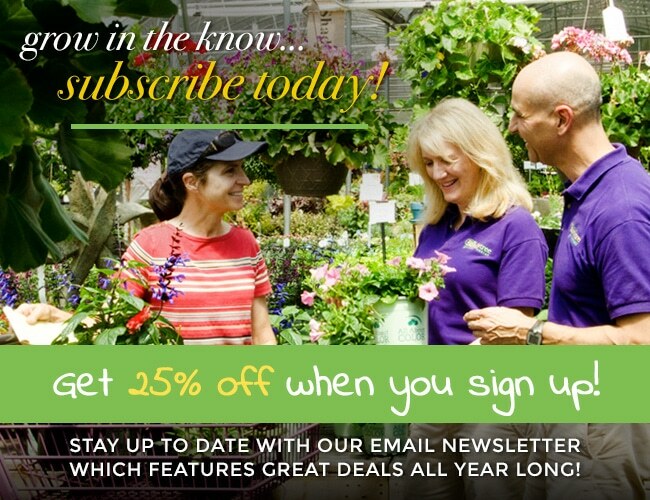 Trying to grow flowers and shrubs while enjoying wildlife can be a challenge. 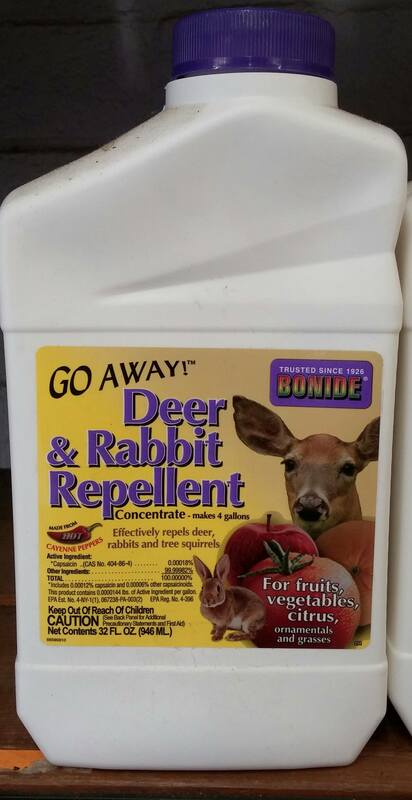 No one wants deer and rabbits to go hungry, but it would be great if they would stay out of our landscaping investments! Fortunately, there are several organic and inexpensive ways to save your flowers from hungry stomachs. Hair – Just sprinkling human hair around your plants can convince deer that they don’t want to get near them. Deer have a very strong sense of smell, which makes them sensitive to any scent of humans. So next time you brush your hair or visit the hair salon, take the the loose hair and scatter it on and around the plants you’d like to keep looking pristine. Mince the garlic. Combine all ingredients in a milk jug and shake well to mix. Allow to sit in a warm location for a few days to let the oils from the garlic and pepper disperse throughout the water. Pour or spray onto plants. 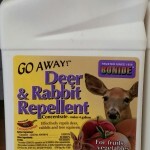 For more aggressive critters, The Family Tree offers some eco-friendly repellents that will hopefully do the trick and won’t do any damage to animals or plants. 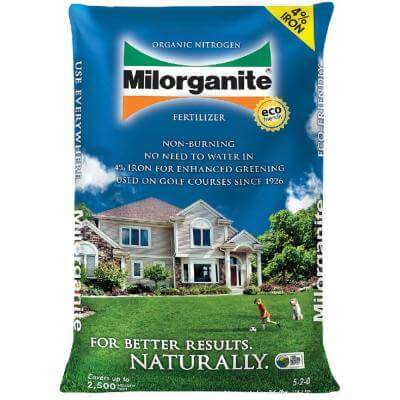 MILORGANITE – Yes, it’s made from human waste but it’s been extensively filtered. 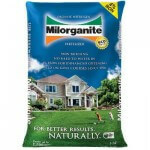 Not only does it keep wildlife out of your flowerbeds, it’s a great fertilizer for annuals, perennials, trees, shrubs, and lawns. 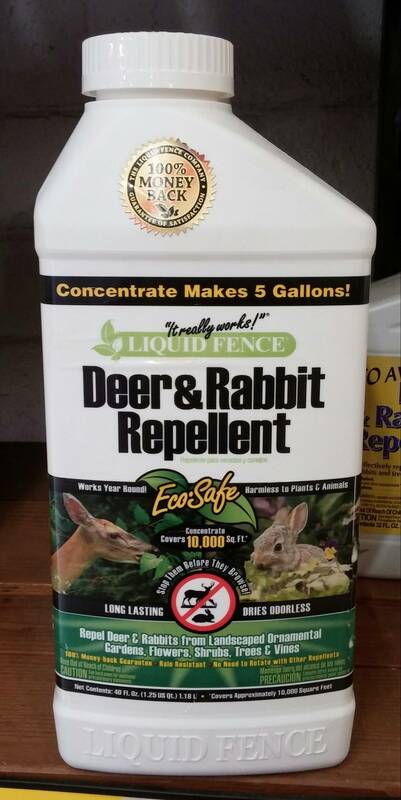 LIQUID FENCE – a concentrated long-lasting eco-friendly spray that keeps deer, rabbits and other critters out of your gardens and lawns. 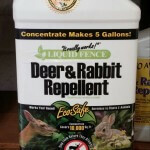 GO AWAY DEER AND RABBIT REPELLENT – made from HOT peppers is effective on squirrels too.